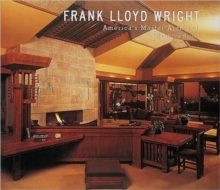 The first history of Frank Lloyd Wright's exhibitions of his own work--a practice central to his career More than one hundred exhibitions of Frank Lloyd Wright's work were mounted between 1894 and his death in 1959. Wright organized the majority of these exhibitions himself and viewed them as crucial to his self-presentation as his extensive writings. He used them to promote his designs, appeal to new viewers, and persuade his detractors. Wright on Exhibit presents the first history of this neglected aspect of the architect's influential career. Drawing extensively from Wright's unpublished correspondence, Kathryn Smith challenges the preconceived notion of Wright as a self-promoter who displayed his work in search of money, clients, and fame. She shows how he was an artist-architect projecting an avant-garde program, an innovator who expanded the palette of installation design as technology evolved, and a social activist driven to revolutionize society through design. While Wright's earliest exhibitions were largely for other architects, by the 1930s he was creating public installations intended to inspire debate and change public perceptions about architecture. The nature of his exhibitions expanded with the times beyond models, drawings, and photographs to include more immersive tools such as slides, film, and even a full-scale structure built especially for his 1953 retrospective at the Guggenheim Museum. 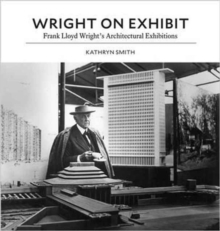 Placing Wright's exhibitions side by side with his writings, Smith shows how integral these exhibitions were to his vision and sheds light on the broader discourse concerning architecture and modernism during the first half of the twentieth century. Wright on Exhibit features color renderings, photos, and plans, as well as a checklist of exhibitions and an illustrated catalog of extant and lost models made under Wright's supervision. Pages: 288 pages, 57 color + 188 b/w illus.